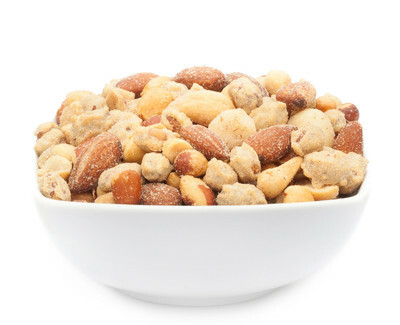 The best selection of fine nuts in a mixture: roasted peanuts, macadamia nuts, and cashews. flavoured with almonds and refined with precious chilli. 55% PEANUT, 12% ALMOND, 10% CASHEWNUSS, 10% MACADAMIA, WHEAT flour, sunflower oil, salt, dextrose, sugar, smoke flavor (contains MILK), potato starch, garlic, onion, yeast extract, sugar syrup, maltodextrin, paprika extract, emulsifier, citric acid. May contain traces of other NUTS and SESAME. The best peanuts, the interaction of macadamia nuts and cashews provide a classic mix, as you well know from any bar in the world. This monotony that had to be put finally to an end. In our SMOKEHOUSE MIX we have to the gently roasted nuts added a subtle but resents smoke flavour. The fine smoke flavourings give the salty texture this combination of nutty, salty and smoky flavour as a highlight of the premium ones. The smoke flavouring produced for our SMOKEHOUSE MIX is a flavour experience that you need to feel on the tongue. All taste buds escalate literally, because the taste combined with our high-quality peanuts, macadamias and cashews so wonderful surprised and one thing, in particular, is delicious! The high-quality recipe is simply, so easy to make: balanced spiciness, a fine smoke flavour to the crispy and fresh kernels - the unique spicy flavour convince you instantly. An ideal snack for a night out in comfortable lounge furniture in a quiet bar is something that you cannot imagine without our SMOKEHOUSE MIX anymore. The chimney ahead of you, in high-heeled comfortable armchairs. Next to you, on a low table you have the favourite beverage of your choice and as epicurean highlight a glass dish with a large portion of our smoky and aromatic macadamia peanuts and cashew. Let your mind run free and think over the meaning of life or lead stimulating discussions in a larger group with your friends and family. 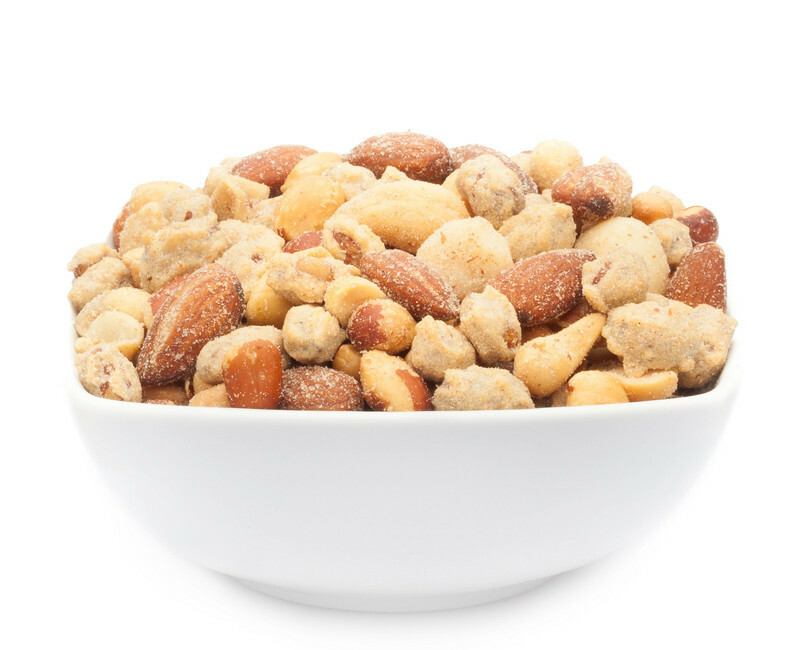 One thing is certain: Enjoy the unique charm of this delicious nut blend.